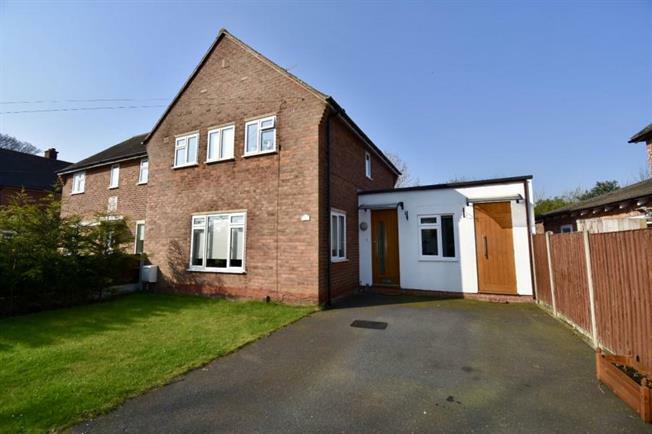 3 Bedroom Semi Detached House For Sale in Knutsford for Guide Price £325,000. Located in a popular part of knutsford is this extended three double bedroom, two reception room semi detached family home. The property has a large kitchen breakfast room, ground floor shower/coak room, study with its own wc. Loung to front and sitting room to the rear, summer house in the rear garden with power, ample parking and a lawn garden.